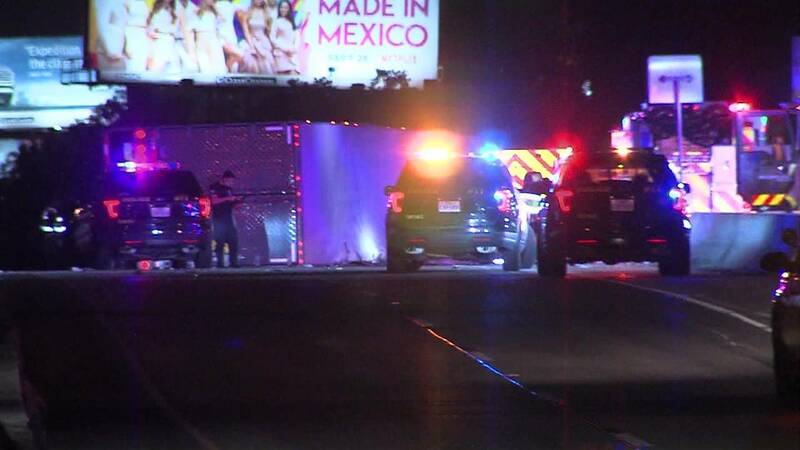 SAN ANTONIO - A big rig filled with avocados rolled over early Saturday morning, sending half its load across the interstate. Authorities were called to the Interstate 35 and Interstate 10 interchange just after midnight and found avocados strewn all over the highway. The driver of the big rig wasn't injured, but police said it could take between six and eight hours to clean up the mess. The Texas Department of Public Safety reported the exit from I-35 northbound to I-10 westbound as closed until further notice. Check KSAT-12's traffic page for the road conditions.